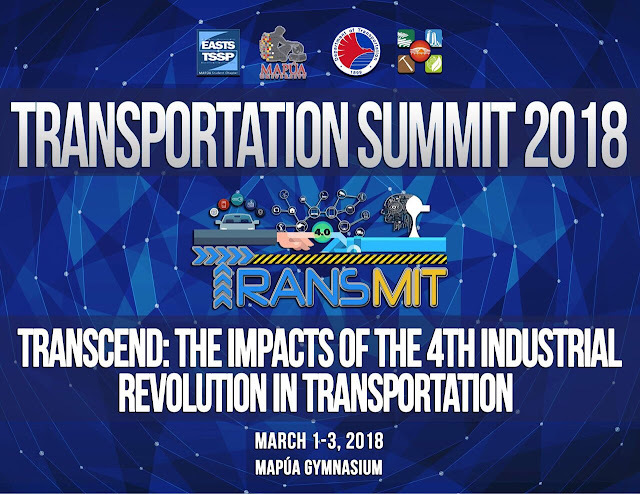 The Department of Transportation will hold the TransMit (Transportation Summit) 2018, an annual transportation conference, that will be held on 1 – 3 March 2018 at the Mapúa University Gymnasium, Intramuros, Manila. 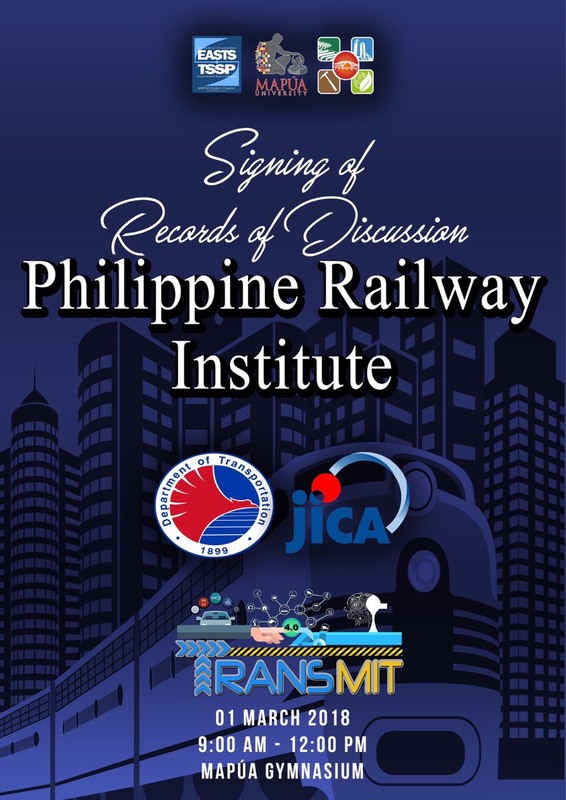 The Summit will be hosted by the Eastern Asia Society for Transportation Studies – Transportation Science Society of the Philippines (EASTS-TSSP), a recognized organization at the School of Civil, Environment, and Geological Engineering of the Mapúa University. With this year’s theme, “Transcend: The Impacts of the 4th Industrial Revolution in Transportation,” the Summit aims to promote awareness in producing sustainable transport policies, such as rural connectivity and public transport, in light of finding and addressing transportation issues. 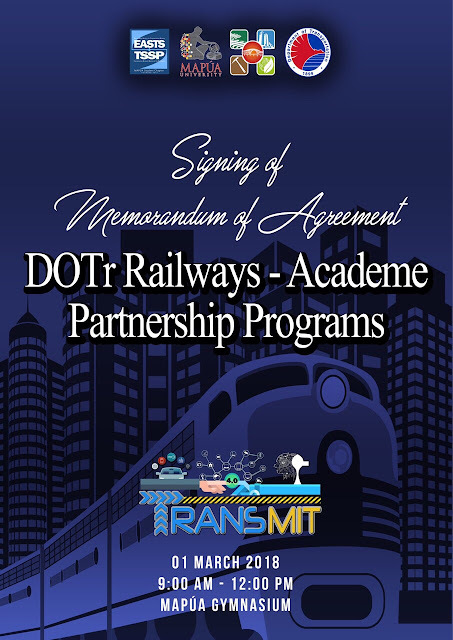 TransMit 2018 is expected to gather more than 3,000 engineering graduate students and other transportation stakeholders. 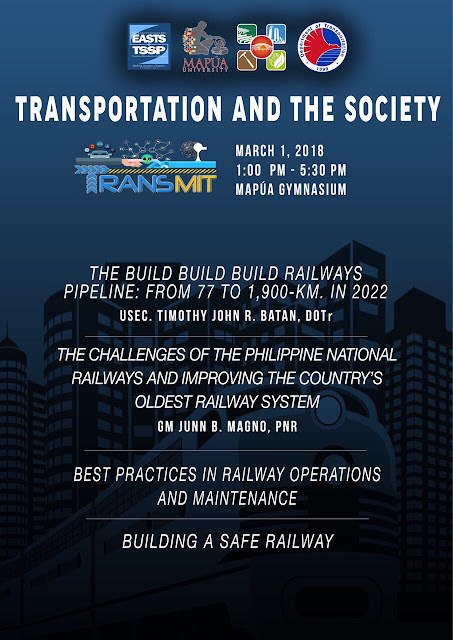 The Day 1 of this three-day activity, 1 March 2018, will solely be devoted on the discussions on railways. 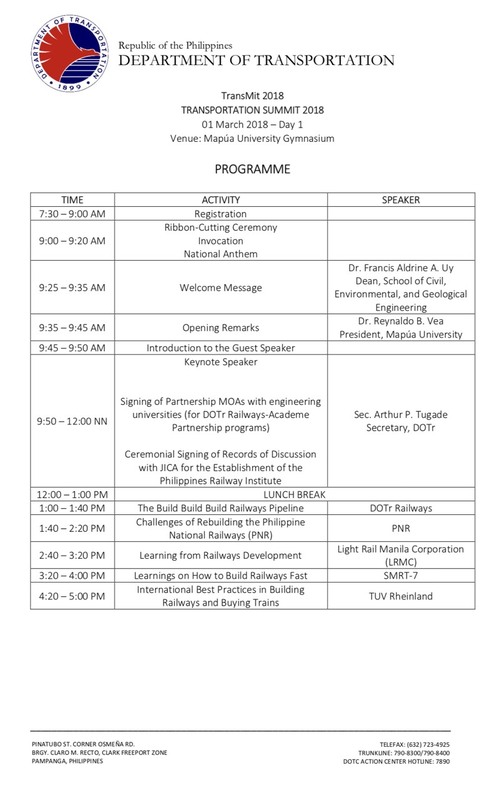 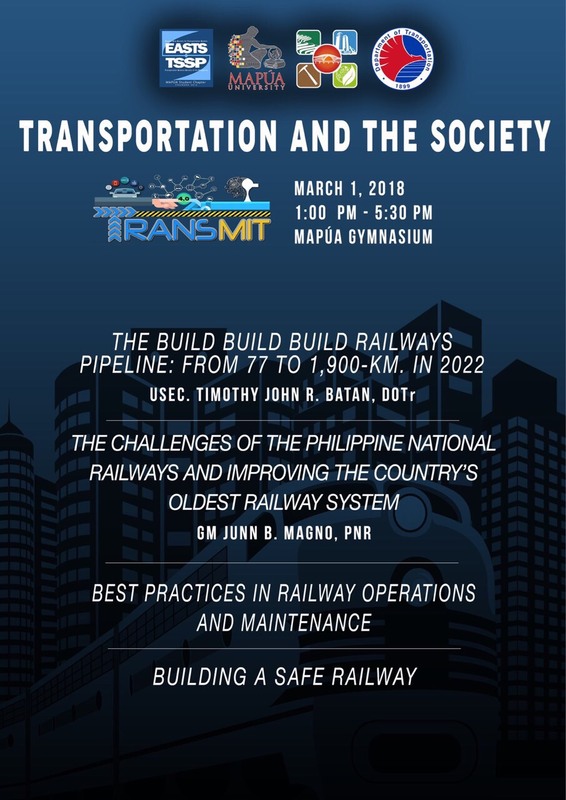 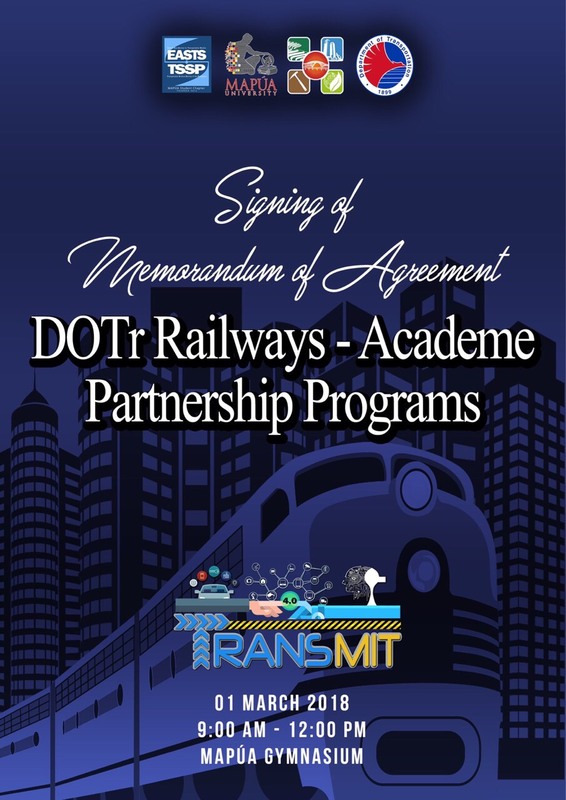 Further, a Signing of Partnership Memorandum of Agreements (MOAs) with Engineering Universities as part of the DOTr Railways-Academe Partnership Programs, and a Ceremonial Signing of Records of Discussion with JICA for the Establishment of the Philippines Railway Institute (PRI) will likewise be held.